My first recollection of the Vidyadhara was when he gave meditation instruction to all the new students at the first session of Naropa in 1974. I remember sitting in a large auditorium with hundreds of other people waiting for him. 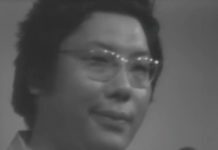 When he finally arrived, it took a few moments for my mind to catch up with its expectations and realize that the little man in the dark suit, walking with a pronounced limp was, in fact, Chögyam Trungpa. Well, it’s like this. When you come home at the end of a long day and you’re really stressed out and tired, you go into the kitchen, you open the refrigerator, you take out a beer, you open the beer, you go into the TV room, you turn the TV on, you sit down on the couch. You don’t go (loud sound of sudden inbreath). After that I never had any misunderstanding about why it was the outbreath. 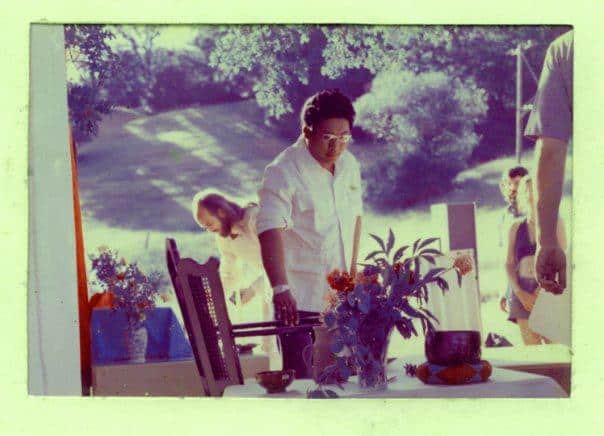 At the end of that summer, I resolved to be his student and I ended up moving to Tail of the Tiger, which actually that very year had been renamed Karme Chöling by His Holiness Karmapa during his first visit to the United States. 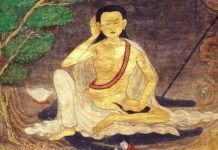 Soon after I arrived at Karme Chöling, I met the Vidyadhara for the first time. I was in a receiving line waiting to meet him, and while I was waiting I had all these thoughts in my mind about what I might say to him. By the time it was my turn, my mind was going like crazy. I shook his hand and before I could utter a word, he looked at me and said, “Don’t try too hard.” And that was it. I applied to the 1975 Seminary and, because I thought of myself as a good student and a smart person and somebody who learned quickly, I thought I should be accepted. So I had an interview with Rinpoche and asked if I could go. He said, “I don’t think you’re quite ready.” I was very disappointed. It was the first time anybody had said “no” to me, and he said it with such assurance. A year later, I asked again if I could go and again he said, “no.” I was finally accepted two years later for the 1978 Seminary. 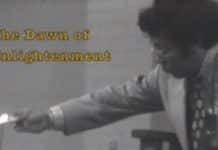 [ed: there was no Seminary in 1977.] But I was rejected twice, which was quite powerful for me. I was used to having doors open when I knocked. In the short term, this no undermined my confidence. It threw me quite painfully back upon myself, and made me realize how arrogant and competitive I had become. In the longer term, it helped me understand that genuine confidence was based on something else altogether. An hour later, I was having lunch with John Lewis, who was a fellow student at seminary and he said, “You know, my mother runs a modeling agency in Atlanta and you look a little like those guys on the billboards for the Winston ads. Maybe you should see if you can do that.” Anyway, one thing led to another and I ended up becoming a model. A few years later, in 1982, I was living in Boulder and had already been modeling for a few years and was also the Director of Shambhala Training. I was feeling quite frazzled trying to relate to these two very different aspects of my life. I felt torn. I felt that by serving Rinpoche and teaching the dharma, I was doing this really exalted and spiritual thing, but that by being a model, I was doing this lowly and slightly perverted thing. So I had an interview with him and expressed my confusion. I said, “What do you think I should do about this problem with the modeling?” hoping that he would say something like, “Yeah, I think you should quit and maybe we’ll figure out a way to pay you more at Shambhala Training . . . ” you know, wishful thinking. So I did. I did it more. A year later I was asked to go to Berkeley to be the Ambassador and, since my parsonage was very small, I continued modeling for a number of years to supplement my income until, eventually, my career as a model ran its course and ended quite naturally. Looking back on it now, I think that modeling helped me see that my ideas about what was and what wasn’t a respectable thing to do with one’s life were purely my ideas. 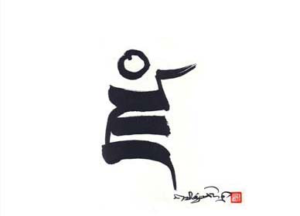 In telling me to do it more, I feel that Rinpoche was inviting me to play, to have more humor about the world. In my experience, he approached every aspect of his life with a quality of total exertion and, at the same time, enormous playfulness. Often, when he taught about exertion, he would say that you need to be like an elephant. You need to walk steadily, one foot after the other. But you also have to look around and when you look around there’s a sense of humor. There is room to be playful and to pick up on little coincidences that are happening all the time. To be able to do both — to be focused and spacious at the same time — is very powerful. He exemplified that more than anyone. The Vidyadhara taught a Level V the first year that I was in my post in Boulder. It was one of the early Level Vs and there were a huge number of participants, mostly from the Buddhist community, but there were a lot of new people there as well. For the Friday night talk, he arrived in his military uniform, which at the time was shocking to just about everybody. 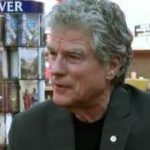 As the Director of Shambhala Training, I was given the task of introducing him. I got up in front of the full shrine room under his watchful gaze. I was slightly freaked out that he was in uniform and I found myself giving a really long and flowery and somewhat overdone introduction about who he was. Every once in a while, I glanced up at him and he looked thoroughly bored with what I was saying, like he was about to fall asleep. I taught Shambhala Culture at the 1983 Seminary. One thing I remember from that seminary is that Rinpoche wore golden robes when he taught the vajrayana. He wore the brown robes when he taught the hinayana and I think the mahayana as well. But when he started teaching tantra he began to wear golden robes. Not only that, but he began to come very, very late for the talks. So sometimes we would be sitting from 8 or 9 o’clock in the evening until 2 in the morning. By the time he entered the shrine room, we were so exhausted that even our irritation had been completely exhausted out of us. Being there in the shrine room with him when he wore his golden robes made me feel like my mind and heart were being soaked in a kind of golden mist. And meditating in his presence, looking toward him in his golden robes, was a profound experience of nowness and devotion. It was like being in the presence of the king of the universe. Before I left Boulder to take my post as Ambassador to Berkeley, I had an interesting conversation with Rinpoche. Although I remember this conversation quite clearly, please bear in mind that this was a long time ago and I’m speaking from memory. This was 1983. The homeland in his mind was Nova Scotia, and America was already a foreign land. On his last visit to Berkeley in 1985 or 1986 he was quite sick and frail, but the quality of exertion and determination coming from him was almost terrifyingly intense. He called a meeting of his senior students from the Bay Area and told us that things were going to get worse in this country, that we may feel comfortable, but that our comfort was like honey on a razor blade. He said there would be economic problems and earthquakes, that the weather would become more extreme because the dralas would not be protecting the situation, and that it would be harder and harder to practice genuine dharma because of the level of aggression in the country. He said there would be a resurgence of political reactionism and religious fundamentalism, which would make the environment less and less hospitable to what we are doing and we should all leave. At that point it was maybe a year from his death and he was telling many of his students to move to Nova Scotia. People were frightened. It was that classical mixture of being his student: on one hand you felt complete devotion, that you would do anything for him, and on the other hand, all your fears, hesitations, and needs for comfort were once again being challenged and exposed. 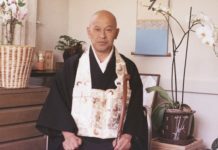 In my first year in Berkeley, he came out to teach Level B of Shambhala Training. It happened to be the weekend of my birthday and my mother and father were visiting me at the same time. We had a big art exhibition at the Dharmadhatu and my mother, who does flower arranging and is a landscape architect, asked if she could do a flower arrangement as part of the exhibit. She made an arrangement of lemon tree branches, with little lemons hanging down, and yellow flowers. I thought it was quite lovely. The exhibit included paintings, sculptures, drawings, and flower arrangements. Rinpoche walked around looking at all these things and when he came to my mother’s flower arrangement, he turned around and asked whose it was. My mother shyly raised her hand and he beckoned her to come forward. I think every new ambassador was extended a certain grace period — a honeymoon of acceptance and lack of criticism from the sangha. When my honeymoon ended after the first year, I was in a lot of pain and I asked Rinpoche for help. He told me that it is very important to pay attention to what people say when they criticize you, because there is always some truth and some intelligence in it. But you can’t let their criticism become the basis for how you make decisions and how you conduct yourself. He said that you have to take it into account; otherwise you are being completely arrogant. But ultimately, in order to go forward, you have to trust your own practice. That advice was very helpful to me then and it has stayed with me through the years. How do you hold that middle ground between being oblivious to the feedback and letting feedback determine the direction of your life? I think that’s a koan that is never fully answered. In 2011, Berliner published a memoir titled, FALLING IN LOVE WITH A BUDDHA. Frank Berliner became a student of the Vidyadhara during the first summer of the Naropa Institute in 1974. 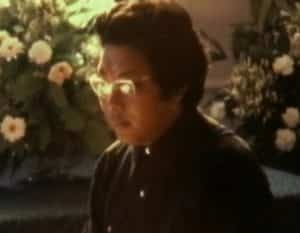 He lived at Karme Chöling from 1974-78, then served Trungpa Rinpoche over the next fourteen years as National Director of Shambhala Training and Ambassador to the Berkeley Dharmadhatu. 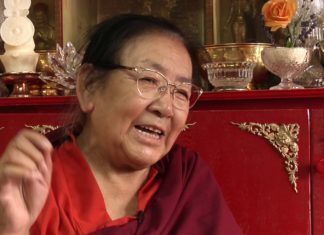 In 2011, Berliner published a memoir titled, FALLING IN LOVE WITH A BUDDHA.